Last December I must have been going through a mid life crisis because I signed up for the Spartan Beast Race at Soldier Hollow in Utah. It is a 12 mile trail running course that includes 25 obstacles along the way such as climbing walls, wading through mud pits, carrying buckets of rocks, climbing up ropes, hauling sand bags, dragging concrete blocks, flipping large tires, crawling under barbed wire, and jumping over fire, just to name a few. Despite having six months notice, I hadn't done much specific training aside from running so I was a little nervous about how I would do. I had never done an obstacle course before so this was new to me. One thing that makes training for a Spartan race difficult is the element of surprise. Although they typically use many of the same obstacles in their races, they never let you know the details about the course in advance so you have to just deal with it as you come upon each challenge. Since there are thousands of participants, they are released in groups of 200 runners every 15 minutes to space things out over the course. The elite runners start first and this year Hobie Call who has dominated the event for years won again with a time under 1 hour and 30 minutes which is ridiculous. My biggest concern was dehydration since the temperature was 99 degrees and I chose not to run with a camelback. The race started with a run up the mountain and within a minute or two we came across the first obstacle which was a chest high mud pit that got you dirty and wet right off the bat. Every several minutes, a new obstacle would challenge the tired runners. One thing that really slowed me down was having to wait for the runners in front of me on the trails in the mountains. The trails were very steep and narrow which made it difficult to pass the slower runners, especially on the descents. There were several times when things came to a complete halt. 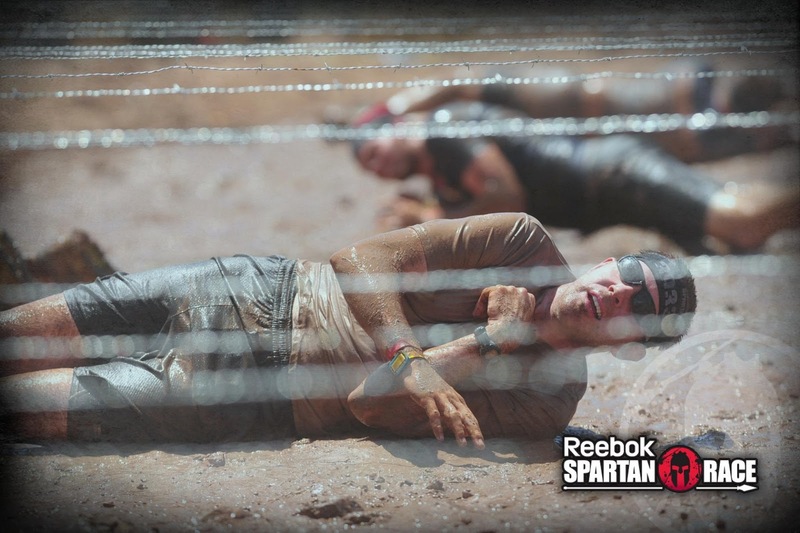 There was also some waiting in line at some of the obstacles, but it was also nice to be able to rest a little. Another difficulty was the condition of the course after several hours of runners going through. The mud pits kept getting even more worn down and were very difficult to climb out of. 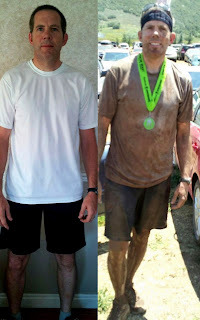 I felt bad for the participants who would be starting later in the day and would experience even muddier and more slippery obstacles and an even hotter course in the afternoon sun. When you fail to complete one of the obstacles, you are required to crank out 30 burpees (squat thrusts) before proceeding with the race. I failed on 3 of the 25 obstacles. On the spear throw I hit the target, but it just bounced off and did not stick. I also slipped off of the mountain climbing wall and the monkey bars because I couldn't hold on with a muddy slippery grip. The course really favors trail runners. I saw many people with impressive physiques who were strong enough to do the obstacles with no problem, but most of them were gassed out at the 8 mile mark. People who could run long distances had a definite advantage. Even so, the mud was thick and would pack into your shoes and as soon as you started to dry out you would come across another mud pit so for people used to running on clean pavement it could be very frustrating. 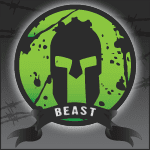 Overall, I felt the Spartan Beast Race was a fun challenge and I really enjoyed it. It's really a giant party. I ended up finishing the course in 3 hours and 28 minutes which was much longer than I wanted, but I was just happy to survive without any major injury of dying of heat exhaustion. If you decide to do one of these races, you will get dirty, scraped up, and tired, but you will probably have a good time unless you are completely unprepared.